Across the globe, the economic developments, especially in developing countries, have led to a constant increase in energy demand in the last two decades or so. Such rapid progress comes at a price of having everlasting damage to the environment. This has placed immense responsibility on the scientific community to find a sustainable way to produce clean energy and at the same time safeguard our planet. Thanks to the advent of nanoscience/nanotechnology, researchers are actively engaged in utilizing the so-called nanomaterials, i.e., metal or metal oxide particles at the nanometer scale, to produce clean energy in a sustainable way. Today, the application of nanomaterials covers a wide spectrum from water purification to clean energy production to energy storage to healthcare drug delivery to the aviation industry. 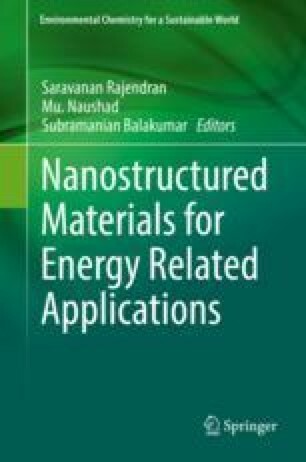 This chapter focuses on one such application where nanoparticles are utilized to derive clean energy. With the advent of nanotechnologies, the metal/metal oxide nanoparticles (MNPs) have received enormous interest as fuel additives from the scientific community in the recent past. Several research efforts have been made to understand its role in enhancing the liquid fuel performance and eventually achieving the broader objective of producing environmentally clean fuels. In this section, the influence of dispersion of MNPs in liquid fuels on their thermophysical characteristics and, in turn, the evaporation, ignition, combustion, and emission performance are discussed. Current developments, challenges ahead, and future opportunities are highlighted.